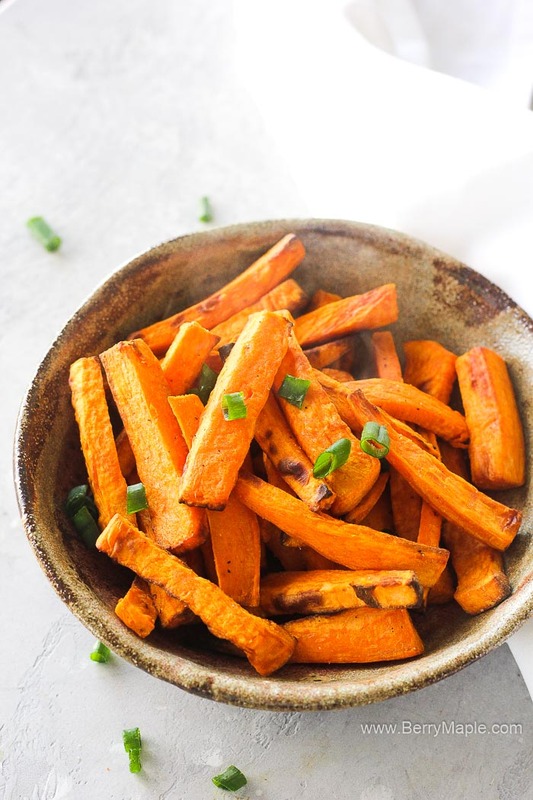 Delicious sweet potato fries made in your air fryer! 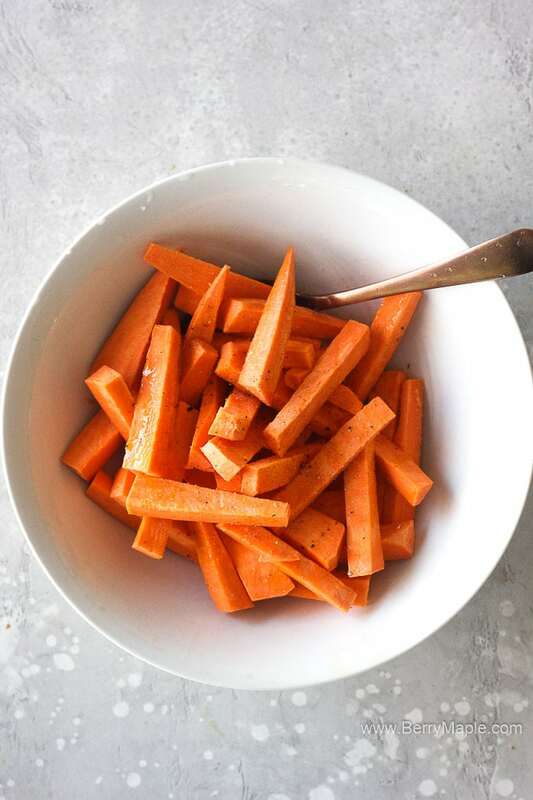 Healthy easy side dish recipes with lots of flavor. You can make them spicy or even add some cinnamon,but i used just basic spices and a bit of olive oil and we absolutely love it! 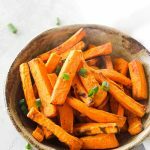 Sweet potato fries are amazing as a side dish to Best Air fryer whole chicken or Air fryer beef steak kabobs! 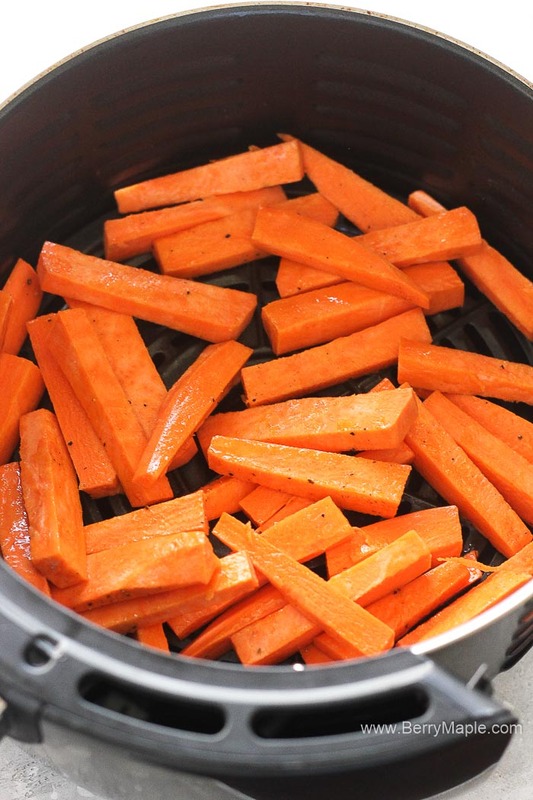 I cook lots of healthy air fryer recipes. Most of them are oil free, low carb, whole30 and keto friendly. Its not a secret that air fryer is your friend when you trying to lose weight but still want to have all that fried food in your life. Even fries could be made without deep frying! So cool! 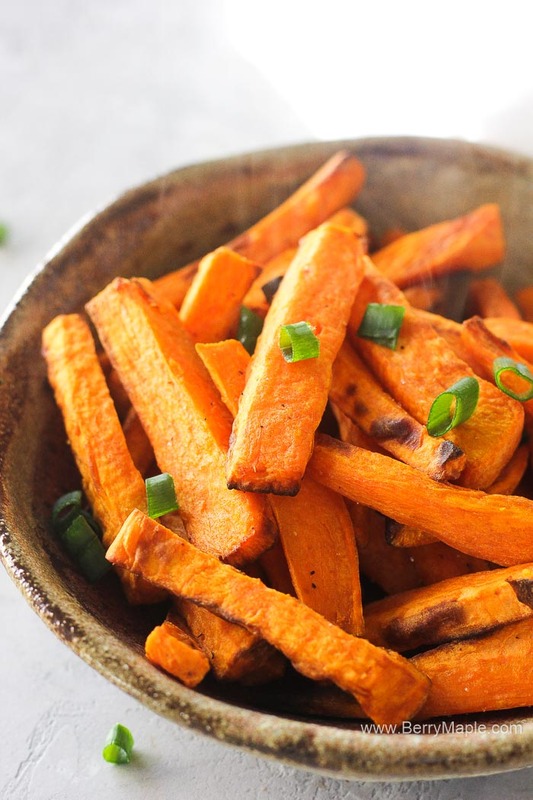 How to cook sweet potato fries or wedges from frozen? Usually i just double the cooking time. So for this recipe it will be 16 minutes instead of 8 minutes. 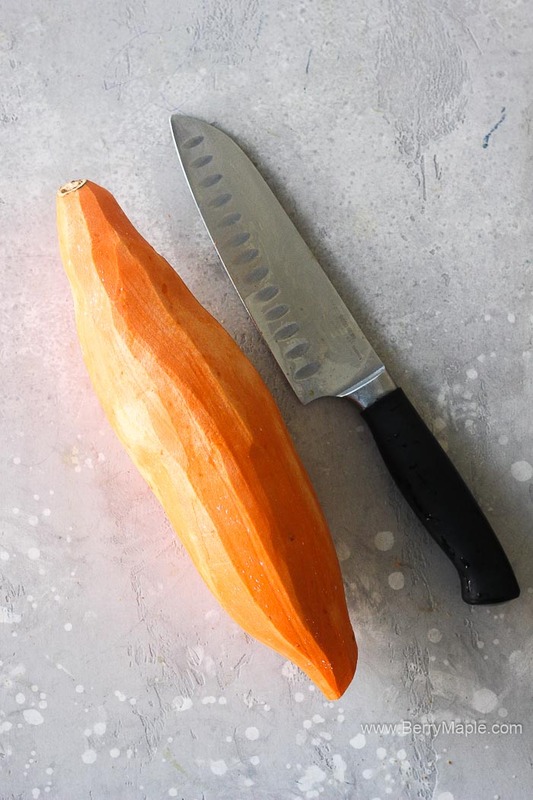 Shake them along the way and make sure to look closely, because cooking time vary depending on the size of your slices. 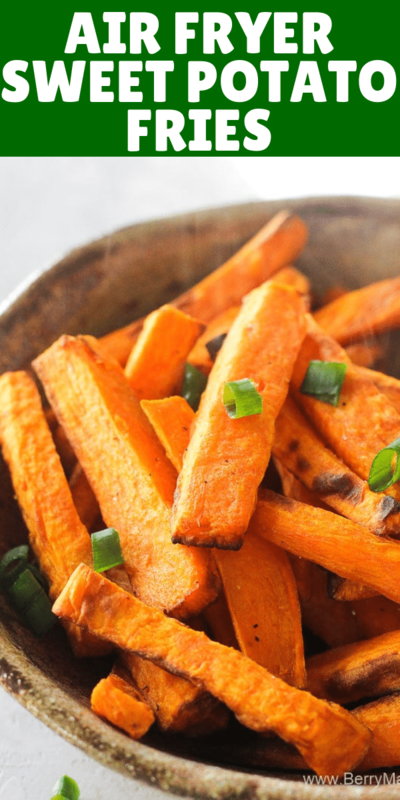 Peel and cut sweet potato in a french fries shape slices. Put in to a bowl and mix with salt, pepper and oil. Preheat Air fryer to 400 degrees. Add potatoes in batches, don't overcrowd. Cook for 8 minutes, shaking once or twice.